Home / Everyday Treats / Petie’s Fortune Cookies – What’s the Fortune? Peanut Butter in the Middle! 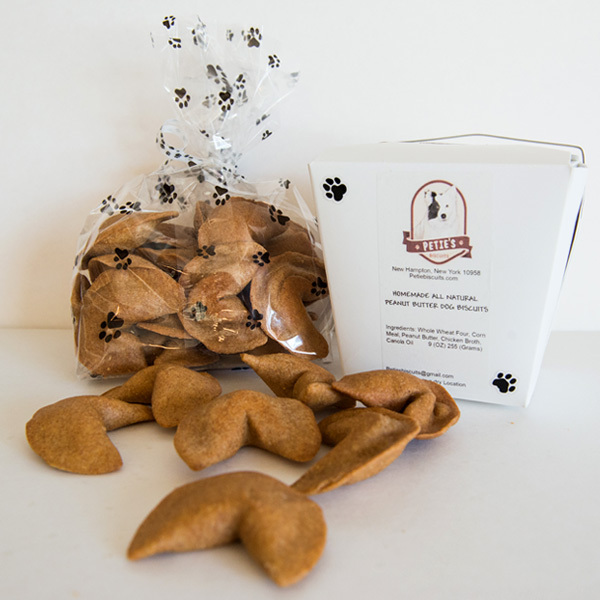 Our Fortune Cookie Biscuit, our best selling treat….what’s the fortune? peanut butter in the middle! If your furry friend loves peanut butter this is the treat for them! Net weight: 9 oz (255g) Approximately 25 fortune cookies per box. Store biscuits in a dry location.